I'm all about finding something to help me achieve the best brows I can. When it comes to brow products I will admit I'm a powder kind of girl. I just seem to really get along with them and find it easy to fix a mistake. Brow pencils on the other hand scare me slightly, what if I look like a clown?, What if it looks like I drew my brows on with a sharpie? 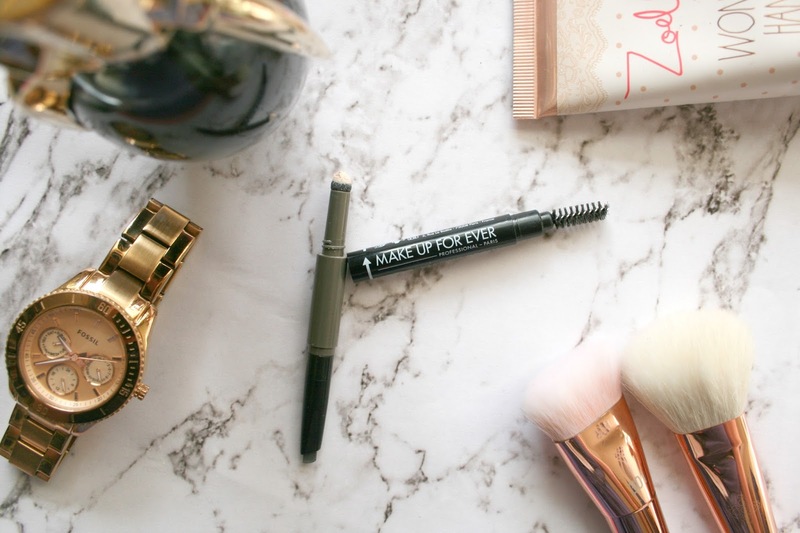 All the worries basically, however when the Makeup Forever Pro Sculpting Brow Pen* came through my letterbox I was excited to give it a try. The Pro Sculpting Brow Pen comes apart to reveal the spoolie, the pen itself and a highlighter, so basically everything you need to achieve gorgeous brows! Starting with the pen itself, I won't lie the first two times I used this I was the opposite of blown away as I found it quite waxy and I just found it didn't leave product on the skin. However after the third try it was gliding on the skin perfectly and I really could no longer complain about it. I actually really love this product. The colour match is absolutely perfect, it has a kind of grey undertone to it which I would never have imagined to match my brows but it's perfect! The slanted shape to the product helps you define your brow in moments and then you simply just fill it in until you're happy with it. The shade featured in this post is Dark Brown and it really couldn't be a more perfect match. There's not much I can say about the spoolie other than it does the job it's supposed to. It doesn't remove too much product from the brows, just the right amount to keep them looking as if you have naturally amazing brows. The highlighter on the other hand I'm not a fan of at all. I've tried to love it but it's impossible to do so in my opinion. The colour don't get me wrong, they nailed it as it really is the perfect shade to highlight. However it's just way too chalky in my opinion and it just looks strange and bumpy when you finally get it blended. So after trying this numerous of times and thinking that maybe just like the pen it needed a few uses before it started to work, I still can't get on with it. Although I do like the clever invention of the highlighter being built into the sponge applicator as theres no mess to it, simply just twist it from the pen and theres product ready to be used. 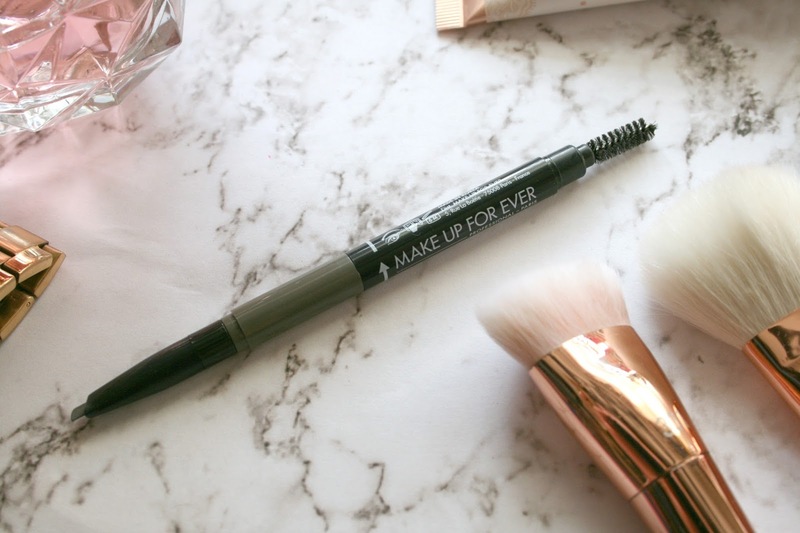 The Makeup Forever Pro Sculpting Brow Pen* will set you back £18.50 which in my opinion for a product like this that I actually really like and have started using on a daily basis is a bargain! Yes when I first used it I thought it was dreadful but after a few uses it started to work to its full potential. So my advice if you do purchase one of these is to scribble the pen back and forth on your hand so it will get rid of the first waxy layer so you're ready to use it on your brows. It comes in 5 total shades ranging from Blonde to Brown Black. 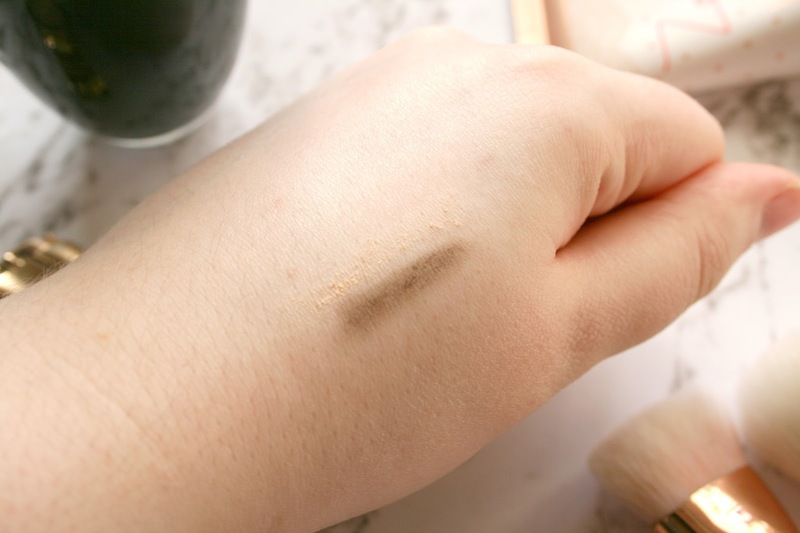 It's definitely something I'd recommend if you're on the hunt for a new brow product as I've totally fallen in love with it, and have yet to go back to brow powders since receiving it! You can pick up your own Makeup Forever Pro Sculpting Brow Pen from PreciousAboutMakeup.com here! Have you tried any of the Makeup Forever range yet? I've been desperate to try teeth whitening, but I'm scared too as I have quite sensitive teeth! This sounds really good though. I'm curious how long the effects last though, and how often I would need to go through the 7 day process.